“Nanobatches.” That was my new word for the weekend. On Sunday morning, it seemed the rain had subsided, so we ventured out for coffee and breakfast. 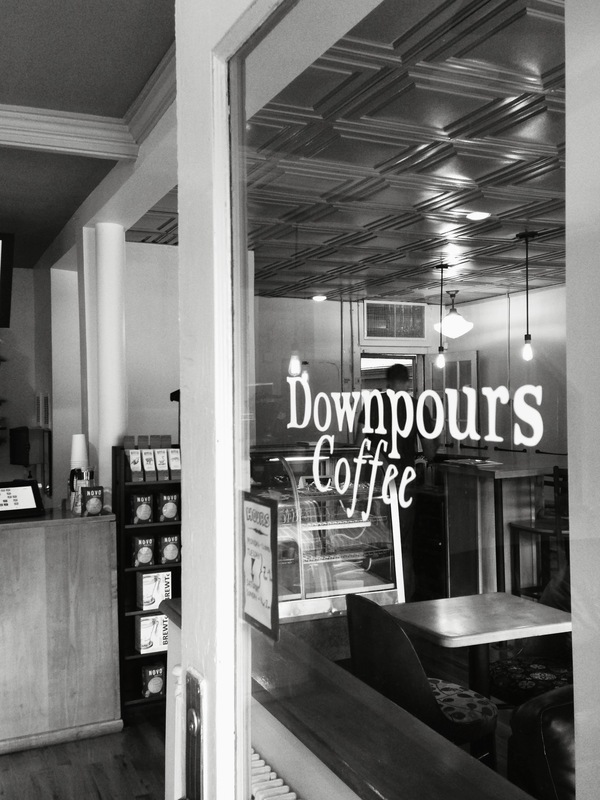 We’d heard the relatively new Downpours Coffee not only had decent coffee but also carried local bagels. 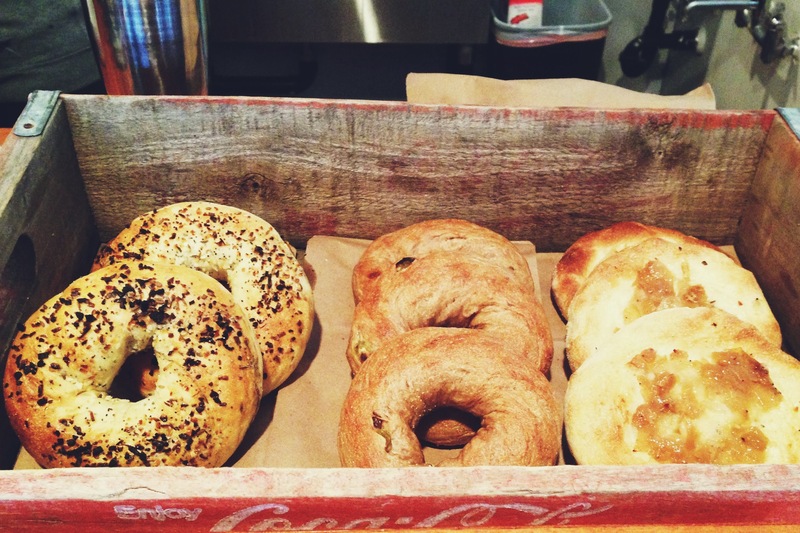 Turns out, not only are the Black Sheep Bagels local, but, according to the woman at Downpours, they’re baked in “nanobatches” during the night and then delivered fresh to a few coffee shops each morning. We both tried almond milk lattes because Downpours makes their own almond milk. I can’t stand store-bought almond milk in my coffee. The two combined the two react to make a very odd taste, typically. But this almond milk was different. It went well with espresso. Must be made in nanobatches. One complaint: they gave me Philadelphia cream cheese with my bagel. Call me crazy, but I just don’t think that’s quite artisan enough for a nanobatch-baked bagel. 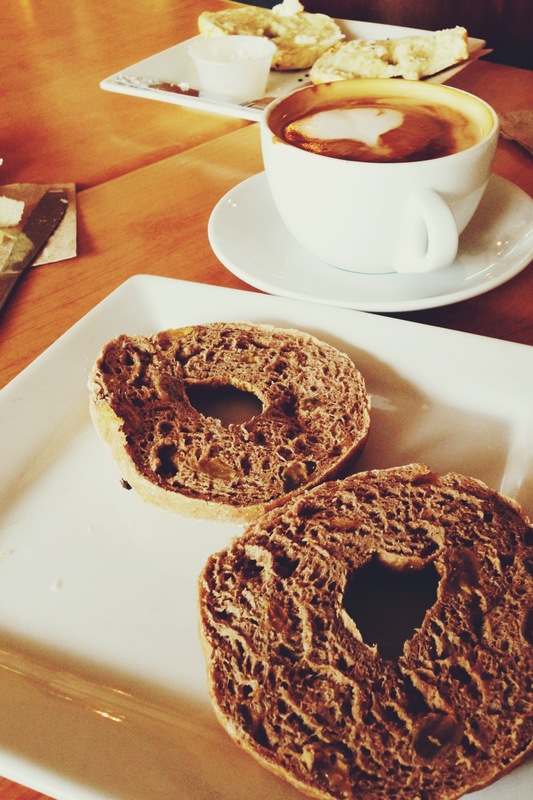 Those bagels look amazing — and to be honest, when I read Philadelphia cream cheese I was surprised! I would have expected something made in house or at least locally made. Something!